It is recommended that a licensed health care professional be contacted for any physical or psychological ailments. Consider Reiki or any other energy healing a positive addition to any health care program, but not a substitute. Mega R. Mease, is the founder/owner of the Center for Advanced Energy Therapeutics. Many hats are worn within the perimeters of her career as a Holistic Health Practitioner. The foundation of this work is her extensive education and experience as a both a certified Health and Law of Attraction Coach which blends beautifully with her natural skill-sets as a Medical Intuitive and Energy Diagnostician. The following CAET practitioners are owners of their personal Sole Proprietorship LLC businesses and lease space at the Center for Advanced Energy Therapeutics. All are directly connected with the Centers’ vision, mission and aligned with the CAET Code of Ethics. Together with owner Mega R. Mease, they work diligently to provide the best possible options for living a healthy life. Mega R. Mease is an, energy diagnostic, medical intuitive and channel who brings to Multi-Dimensional Healing to her clients. This form of healing utilizes a variety of energy modalities. Reiki healing is the foundation of this hands-on work and is especially helpful in preparing and stabilizing the system for deeper healing. Energy Diagnosis/Life Readings and Energy Healing may be enjoyed together in one session or scheduled separately. Multi-Dimensional Healing refers to the manipulation and negotiation with energy on and within not only the physical body, but also the emotional, mental, spiritual, and etheric bodies as well. The Energy Diagnosis/Life Reading portion of the session encourages active participation on the part of the client. Energy Diagnosis is a tool that gives the client an energetic understanding of their present life circumstances. It is accomplished by seeing and sensing energy patterns within the client’s energy field. Studying the flow of energy over time will eventually uncover the pattern that is causing the most distress in the system at present. In most cases, the energetic pattern is related to the present day challenge or issue that the client is dealing with. The emotions and/or thought patterns are often disclosed, showing where the pattern is anchored. Once this information is received it is easier to find what is fueling the pattern. All of this is shared with the client. The Life Reading portion is a scanning of present day events which may show where the client may be living out the pattern. Candid discussion brings awareness to the situation and ultimately consciousness into matter. The energy, which is holding the pattern in place, begins to loosen and the client has the opportunity to embrace a deeper understanding of his or her own healing process. Hands-on or distance Energy Healing shifts the pattern, creating more space in the energy system. As the system expands the client may navigate more freely, creating a higher level of wellness – mind, body and spirit. This work utilizes a variety of energy modalities. Reiki is the foundation of this work and is beneficial in preparing and stabilizing the system for deeper healing. Reiki is the foundation of all Energy Healing sessions which are available at The Center for Advanced Energy Therapeutics. All sessions are received in a relaxing atmosphere of soft lighting, soothing music, and light scents to enhance the benefits of your session. A Reiki session is given primarily for the purpose of stress reduction and relaxation. You may expect a light, gentle, noninvasive touch therapy from your CAET practitioner. Deep relaxation, relief from pain, and a sense of stress/tension dripping off are often noted while receiving Reiki. Other benefits which may be noticed over time include heightened creativity, expanded awareness, peace of mind and healing on a causal level. Comforting warmth is generally felt throughout the entire healing session leaving you with a delightful sense of well-being. All energy healing, including Reiki, penetrates clothing and blankets, thus allowing the recipient to remain fully clothed. A session consists of gently resting the hands on predetermined positions, which cover the major organs and body systems. Sensitive and private areas are never touched. The practitioner will rest the hands on the head, torso, and legs without manipulation; therefore, this therapy is safe regardless of the state of your health or physical condition. Discussion is not mandatory after a session; however, your session will include a few minutes to answer any questions which may have arisen during your session. Bone Energy Re-patterning™ was developed by and is specific to the gifts, skills and training of Mega R. Mease. This unique hands on method was created by combining techniques and methods from several energy modalities. A healthy marriage of energy and structure is the foundation of BER. This method is non-manipulative, however does involves light touch and subtle stretching. Although this work may feel gentle, the release of energy may create a highly charged, intense physical response. It is therefore, not appropriate for anyone who is severely ill, has active injuries or acute spinal conditions. A normal session is given in a one-hour time frame. This includes discussion, investigation of physical limitations and the hands on healing. Throughout the session, the practitioner conducts a search for thick, knotty congested areas inside the bone. This is done by applying light, quick, non-invasive touch. Emotions trapped inside the bone are responsible for the energy becoming blocked, stuck or sluggish. Release is accomplished through use of sound and running energy into the core of the bone. BER is received fully clothed while lying on a massage table. Distance Healing is easily given and received from across a room, across the city, across the ocean and even to our beloved one who have passed on. Energy can be sent from everywhere to anywhere because the boundaries of energy flow are suspended during a distance session. The results of distance work are much like that of a hands-on in person session. Neither is the better option. It is a personal preference, a matter of convenience, and sometimes a must because of location or inability to travel due to illness. It is the perfect choice for those who cannot be touched for medical reasons. The benefits of receiving healing from a distance while in the comfort of one’s private space are many. Recipients often say that their healing experience is deeper and more profound. The reason is simple. During an in person session, the energy must navigate through clothing, blankets and human interaction. In addition, awareness and energy sensitivity may be dimmed by the mingling of the energy fields of the client and practitioner. Eliminating these distractions encourages a larger connection and awareness of the subtle shift taking place. Two options are available. The Reiki Healing and the HeartRay™ Energetic Therapy sessions are available both in-house and as a distance healing. The 60-minute stand-alone distance Reiki and /or HeartRay™ session require a voice signature by phone. The client is therefore required to call the Center’s consultation line (520-296-7222) at the time of their appointment for a brief 3-5 minute conversation. The client will then lie down in a quiet place and receive the healing. An extra 10-15 minutes of rest after the hour of healing will support the integration process. The 75-minute and 90-minute HeartRay™ sessions include energy diagnosis and energetic clearings prior to the energy healing. Clients are responsible for calling the Center at the time of their appointment. The client will lie down to receive their healing after they receive and discuss information concerning the pattern that is causing the most distress in their system. Taking extra time to rest after the session is highly suggested. Distance healing is best experienced rather than explained. Please contact the Center at AdvancedEnergyTherapeutics@cox.net to schedule your session. The Healing Blitz offers a unique blend of Energy Healing, Spiritual Tools and Pathways to Empowerment. Both options include an initial phone consultation and energy healing for a full 30 days. Energy Diagnosis, Energetic Clearings, and Law of Attraction or Health Coaching may be added for an additional fee. Anyone who desires an elevated level of health and well-being. 30 hours of distance healing which are performed at various times of the day and night. This work may be done in 10-15 minute increments each day or in full 60-minute sessions. Healings are scheduled on an individual basis and directed by personal lifestyle and circumstances. Energy exercises and spiritual tools to enhance the healing experience. 30 hours of distance healing which are performed at various times of the day and night. This work may be done in 10-15 minute increments each day or in full 60-minute sessions. Healings are scheduled on an individual basis and directed by personal lifestyle and circumstances. This choice is good for people who desire extra energetic support while traveling. It is especially beneficial for those having surgery: Prior, during and after. HeartRay™ Energetic Therapy is a vibrational bodywork unique to the personal gifts of sight, skill and training of Mega R. Mease. This form of multi-dimensional healing incorporates a variety of energy modalities. Multi-Dimensional Healing refers to the manipulation and negotiation with energy on and within not only the physical body, but also the emotional, mental, spiritual, and etheric bodies as well. Due to the depth and intensity of this work, one may expect for various situations to arise during and after a session. Many note alleviation of physical and emotional problems. Life changing realizations may also be experienced. In addition, suppressed emotions and/or emotional patterns may be pushed to the surface. Various physical symptoms may be created by this process. Release of tension in one area of the body may bring tension to the surface from another area. Occasionally pain may be experienced as the energy moves. The body is simply rearranging itself as it brings itself into homeostasis. Reiki healing is the foundation of this hands-on work and is especially helpful in preparing and stabilizing the system for deeper healing. Energy Diagnosis and/or Intuitive Mentoring consultations are included in the 75-mimute or longer sessions. Both encourage active participation in your own healing as well as offers a deeper understanding of one's own healing process. The benefits of HeartRay™ Energetic Therapy extend long after the session is received so it is advised to wait a period of 1-2 weeks between sessions. A session may integrate for 3-7 days during which a deep sense of wellness may be felt. A higher level of awareness is often noticed while the system continues to adapt to the changes. Several options are available for HeartRay™ Sessions. The Two Hour Mega Method of Healing™ (previously called The Full HeartRay™) is the most popular session among serious seekers of well-being and forward movement action in life and an excellent starting point. The primary goal is to discover the energetic pattern that is causing distress in your system, the emotions and/or thought patterns to which it is connected and discover where the pattern is anchored in the energy system. This write up is long overdue but the time feels very appropriate for me now, this is an unsolicited testimonial. I have been working with Mega for over 10 years, the first few years intensely and then now and again for “tune-ups”. Initially my work with Mega was to help me cope with a diagnosis of Multiple Sclerosis. Over the years, we were able to understand the origin of this disease in my body and I am pleased to say that I have been pain free & symptom free for well over 7 years with the combination of this healing work and my lifestyle changes. Through these years, Mega has helped with relationship and family issues, mentored me with career aspirations, and more importantly with my negative patterns that created some difficulties in my life. Long and short, working with Mega has helped me become fully empowered to not only understand my true nature better but also capture my dreams on every level. It is with much gratitude in my heart that I write this testimional and hope that you take the steps to discover yourself and find true happiness. 60-minute HeartRay™ Energetic Therapy is the basic bare bones of the HeartRay™ choices as it includes only a few minutes of Energy Diagnosis to clarify the direction and focus of the hands on healing. The one -hour HeartRay™ session is a good choice for clients who are seeking relaxation, stress reduction and simple direction. Those who have a deeply rooted mind, body, spirit connection and seeking support with the movement of energy that is fueling a specific challenge will also enjoy this option. Five minutes is allotted at the end of the session to support integration and grounding. 75-minute HeartRay™ Energetic Therapy is identical to the one-hour session with a choice of an additional 15 minutes of energy diagnosis. This option may offer time to include one Energetic Clearing Clients sit quietly relaxed with eyes closed during the 2-3 minute process. Clearings address feelings, concerns and issues and situations that may be limiting, troublesome and/or cumbersome. Items may be from the past to present day. Inclusion is dependent upon how the Energy Diagnosis plays out. 90-minute HeartRay™ Energetic Therapy includes thirty minutes of in depth Energy Diagnosis which defines direction of the work offering opportunity to acknowledge present day triggers to the challenge at hand. The hour and a half HeartRay™ session is the best choice for clients who are seeking relaxation, stress reduction along with a conscious desire to connect with the source of what ails them; be it of mind, body or spirit. This option includes ample time for 2-3 Energetic Clearings. Five minutes is allotted at the end of the session to support integration and grounding. These clearings are simple, quick and yet profound, They are received by phone and involve working with the conscious mind and clearing the energy of troublesome items. As this energy is cleared pathways open to facilitate the movement of the related energy held in the unconscious mind which is located in the physical body. A domino effect allows subconscious energies to begin flowing in preparation for release. Clients will sit quietly, relax with eyes closed during the individual 2-3 minutes energetic clearings. Items to be cleared may be issues and/or situations that may be limiting, troublesome or cumbersome. They may be physical, emotional or spiritual. Additionally the chosen items may be large or small and from the past to present. Clients are encouraged to give deep consideration when choosing their issues, situations, feelings etc. The Energetic Clearing experience is different for each individual. Therefore this unique work must be experienced to be truly appreciated. Clients may choose a 30- minute or 45-minute session. The 45 minute phone clearing session includes a small amount of Energy Diagnosis. This is the best choice for those who require a small amount of support defining and choosing items to clear. There is usually ample time to address 5-7 items. Energy Diagnosis is a tool which gives the client an energetic understanding of their present life circumstances. It is accomplished by seeing and sensing energy patterns within the client’s energy field. Studying the flow of energy over time will eventually uncover the pattern that is causing the most distress in the system at present. In most cases, facilitator Mega R. Mease uncovers the energetic pattern that is related to the present day challenge or issue that the client is dealing with. The emotions and/or thought patterns are often disclosed, showing where the pattern is anchored. Once this information is received it is easier to find what is fueling the pattern. All of this is shared with the client. A Reading is a scanning of present day events which may show where the client may be living out the pattern. Candid discussion brings awareness to the situation and ultimately consciousness into matter. The energy, which is holding the pattern in place, begins to loosen and the client has the opportunity to embrace a deeper understanding of his or her own healing process. While not required, combining hands-on or distance energy healing most often encourages the pattern to shift, creating more space in the energy system. As the system expands the client may navigate more freely, creating a higher level of wellness – mind, body and spirit. HeartRay™ Energetic Therapy is the primary energetic foundation however a variety of energy modalities are utilized. Reiki is always included as it is beneficial in preparing and stabilizing the system for deeper healing. Please note: While Energy Diagnosis is included with some hands-on healing sessions; Independent Energy Diagnosis readings are available by phone consultation only. Intuitive Mentoring is an organic work which offers the opportunity to bring clarity and intentional movement into one’s work, relationships, spirituality and life. In a nutshell, it supports people in creating and maintaining a delightful life that they truly love. Clients often call it “Mega Mentoring” because this particular form of mentoring is specific to the skill set, training and natural gifts of Mega R. Mease. The benefits of this unconventional method of mentoring support is available to individuals, couples, families and professional groups who are seeking a deeper understanding of their core beliefs about what is possible in life, love and business. Openness and a natural curiosity are helpful however not necessary to engage in this work. These sessions are available internationally as they are provided via phone and Skype. Clients refer to their mentoring experience as therapeutics however this is NOT therapy. This form of mentoring begins with a solid foundation that everyone is already wonderful, balanced and centered. The glitch is that somewhere, somehow this knowing of Self was lost, misplaced or forced into hiding. Intuitive Mentoring involves the process of finding and following the pathways back to a full truthful awareness of Self. Intuitive Mentoring utilizes Energy Diagnosis with a specific direction and focus to delve into deep profound levels of hidden wonder; tapping into the unconscious and subconscious minds. Mega R. Mease uses her skill set of seeing and sensing energy patterns within the client’s field to connect this information with the clients’ conscious thoughts and feelings. Studying the flow of energy over time eventually uncovers the pattern that is causing the most distress in the system at present. Over time entryways into the discovery of Self gradually open while weaving in the mundane aspects of normal everyday life. This is accomplished by talking about past and present circumstances, the asking and answering of sometimes challenging questions and sharing stories that relate to the work at hand. During the session Ms. Mease attentively tunes into the clients system while running energy into appropriate places to encourage movement and release of stale, dormant energies from the system. The nature of this work is extremely intimate; reaching to the core. It must therefore, be experienced to truly understand and appreciate the value and depth of the results gained. Intuitive Mentoring is a way to make sense of things that don’t and consciously create a life you love one thought, one moment at a time. What commitment does Intuitive Mentoring require? The commitment to Intuitive Mentoring is dependent upon the needs and focus of the client. The descriptions below will help to choose which way is the best for you to utilize this service. Single session: This option is best for those who are indecisive about a specific challenge and seek direction for moving forward or concerning movement that requires immediate attention. This is also a smart choice for those who desire a quick confirmation of intention concerning their recent activities and choices. Series of Six: A six session commitment is designed to support the individual who is serious about making changes now! This person is seeking guidance on deep levels with a goal of easily integrating this work into daily life. While feeling ready for resolution and willing to change, the goal, desire, issue or challenge may feel too large to be resolved in fewer sessions. Scheduling appointments in close proximity promotes integration and enhances lasting productivity. Is Intuitive Mentoring right for you? Intuitive Mentoring is a service that offers the opportunity to bring clarity and movement into one’s work, relationships, spirituality and life. Because there is no required starting point to engage in mentoring, everyone may reap rewards regardless of their present day circumstances and level of awareness. A good candidate for this work or better defined; Spiritual Play is anyone with a desire to live a better, more fulfilling life. Those with a goal, desire, issue, or need and are looking for answers will benefit from this healing service. Openness to new and different forms of information are a plus when beginning this type of work. Schedule a 15 minute complimentary phone consultation to discuss which option will best fit your needs. FootFlex™ is a unique energy work created and developed by Mega R. Mease. It’s available only at the Center for Advanced Energy Therapeutics. This chakra energy massage is designed to balance and strengthen the seven energy centers located in the physical body while relieving sore, tired feet. As with all CAET sessions you will feel pampered while listening to soft music and relaxing on a massage table. FootFlex™ is received fully clothed so you will want to wear loose comfortable clothing. This two hour session begins with a refreshing warm water foot soak/massage. A few minutes of Reiki healing will have you immediately relaxing into your healing experience on the table. You session continues with a standard chakra clearing which lifts limiting energy from the top of each chakra. And next are your feet! You may expect light to medium touch on the top, side and bottom of your feet as well as subtle stretching of the legs. The session always ends with a few more minutes of Reiki to support grounding integration of the energy movement. The Spine-a-Licious™ body treatment is more than a massage. It is a must for anyone desiring a healthier lifestyle. In addition, it is an easy, enjoyable way to maintain vitality once you attain it. You may treat your whole body with a 25 or 45 minute treatment. Although a delight by itself, many enjoy this prior to or immediately following an energy healing session. This cutting edge machine is designed to get to the source of problems; not just relieve the symptoms. It works on source of problems in the body, allowing the body to heal itself, in time relieving the symptoms. Our Spine-a-Licious™ bed beautifully integrates the wisdom of eastern medicine with western technology by utilizing the principles of several modalities: hot jade stone therapy, Acupuncture, Acupressure, Chiropractic, Massage, far-infrared and cranio-sacral. This treatment is received fully clothed on a hot jade massage bed in a relaxing environment. The bed does the work so you may relax in private without a practitioner present. The benefits may include a greater sense of well being, reduction of muscle tension, detoxification of organs, mental clarity, accelerated recovery from injuries and workouts, reduced levels of stress, increased vitality and more! The following three points will attempt to explain the treatment. The Spine-a-Licious™ however, is highly experiential and personal experiences will vary widely. First are the Acupuncture points in the body. Far Eastern Medical experts believe that there are pressure points in the body connected by what they call meridians, and aligned with specific organs in the body. If this is new to you, think of the body as a road map with connection to states and cities. When storms or roadblocks come, access to a free flow of travel is not available. Our bodies are an electrical system, so you may also think of this like a power outage in one area, or we have stalled or broken circuit. The massage heads of the Spine-a-Licious go up and down your body, stopping in key places to release any blockages in your meridians. Second is Acupressure where the bed works on the spine. This cajoles and aligns extending the spine for improved health, stamina and structure. The fabulous Spine-a-Licious™ deals with the body at a muscular skeletal level. The spine is housing for the central nervous cord, communication between the brain and all the functions of the body. As the bed aligns and extends the spine it opens the communication for the body to work at peak efficiency. Third is addressing toxicity in the body. People of the Far East believe that Jade has healing properties. The inventor found a way to heat jade putting it in the massage bed causing a light heat of Far-Infra red rays that penetrate deep into the tissues and helps your cell release toxins. We make no claims of healing, however we do have hundreds of testimonies of what people have experienced when consistently using the bed. We hear of vast improvement in neck, back and shoulders and pain relief in many areas. 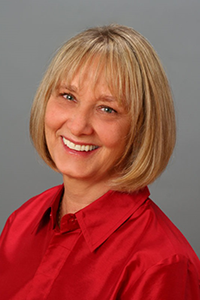 Many hats are worn within the perimeters of her career as a Holistic Health Practitioner. The foundation of this work is her extensive education and experience as a certified Health and certified Manifestation Life Coach. Her natural skillsets as a Medical Intuitive and Energy Diagnostician blend well with Mega’s training making her a full circle practitioner who skillfully and knowledgeably addresses the emotional aspect of illness, dis-ease, disorder and wellness of the Mind-Body-Spirit. Due to the versatility of Mega’s work she answers to a wide stream of other titles. Among them; Reiki- Master Teacher, Vibrational/Empathic Healer, Spiritual Advisor-Mentor, Hypnotherapist, Inspirational Speaker, Empowerment Workshop Facilitator, Retreat Presenter. Mentor and Empowerment Counselor. Use whatever title fits for you. Mega will answer. David B. Blum LMT is a graduate of the Desert Institute of the Healing Arts/Cortiva Institute, located in Tucson Arizona. His work supports others in attaining the very best in physical and mental health. You may expect an environment of healing, caring and safety from this skilled and knowledgeable professional. David works closely with other healthcare providers to facilitate a multi-faceted approach to wellness and maintenance for his clients. David’s skills reach much farther than the ordinary massage therapist. He has over 25 years of physical therapy experience in the treatment of a wide variety of musculoskeletal and soft tissue disorders and dysfunctions. He is experienced in all facets of manual therapy and teaches these techniques as well. His ever- expanding menu of offerings include; Therapeutic, Sports, and Pre-natal Massage, Strain/Counterstrain, Myofascial Release, and Craniosacral. As a certified Kinesio Taping professional he utilizes a variety of techniques with a specially designed tape to perform multiple functions. Clients receive help with muscle relaxation or facilitation, stabilization of joints, assistance with motion as well as provide lymphatic drainage. The stress of everyday life does not need to interfere with the joy of life. The CAET invites you to make a change. Schedule a massage with David today. Click here to listen to David's audio interview on Holistic Tucson Online. 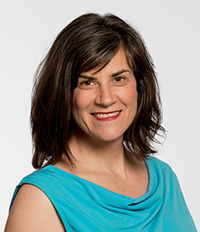 Andrea McCully is a graduate of Cortiva Institute in Tucson, AZ. You will always receive "more" when working with this expertly trained and professional practitioner. Her intuitive hands, technical skill and passion for her work consistently draw her clients back for more. Andrea's standard 60-minute massage will have you leaving with a smile, skip in your step, and more relaxed than you can imagine. If a more thorough treatment is what you need, enjoy her "Oh my goodness" 90-minute massage which includes Swedish strokes, triggerpoint, myofascial and deep tissue techniques. Her signature two-hour massage has often been described as a " heavenly miracle". It is truly a must for everyone to experience. Treat yourself to a massage with Andrea because you deserve it! 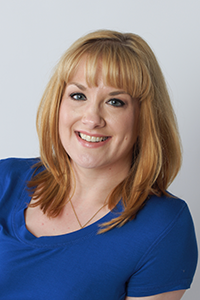 Hello, I am Amanda B. Smith, LMT and owner of Body Sense Massage Therapy in Tucson, Arizona. Selecting the right massage therapist is an important process that will lead you to that perfect fit for you; body, mind, spirit and pocketbook too. Of course the place to begin your search is to confirm the education and skill-set of the massage therapist that you are considering. Equally important however, is knowing who this therapist is as a person. After all, they will be touching you. With that said…This is the story of how I came to “BE”. It has been an exciting and sometimes challenging pathway from Lover of Nature, to Athlete to Personal Trainer, to Massage Therapist and eventually a Structural Stress Technician. My growth continued on to Health Enthusiast and today a Healer. Why choose me as your Structural Stress Technician and Healer? The best way to explain how to choose is to continue sharing more of my story. As a child being outdoors, running, playing and simply being active was my primary mode of operation which led me to participate in sports on a regular basis as an adult. An unconscious knowing and natural connection to the movement of my physical being sparked interest in how the body actually works. Over time I began connecting all the dots; unraveling the beauty, magic and rewards of a healthy active, flexible body. Becoming a certified personal trainer in 2006 was a perfect fit for me and my lifestyle. I noticed early on however that my clients had a tremendous need in their healing and recovery process. They required more than what I could offer by training alone so in 2010 I became a licensed massage therapist after completing my education at Cortiva Institute in Tucson, AZ. This was the answer to blending my skill, knowledge and vision to support serious athletes and active people ranging from all ages and walks of life and in varying degrees of health. My combined training makes my work as a Structural Stress Technician the perfect solution to support others in relieving stress, restoring flexibility, increasing range of motion and decreasing muscle soreness. My mission is to facilitate your body’s natural healing process and reduce the risk of an injury before, during, and after activity. Additionally your search is over if you are seeking for hands on recovery from injuries such as ankle sprains, tennis elbow, tight neck and shoulders, muscle spasms, chronic lower back pain, and knee injuries to name a few. Managing one’s own health and wellness is the foundation of being successful in supporting others to do the same. Balancing my own mind, body and spirit transfers to my work with clients, eventually translating into the hearts and minds of all living in synchronicity. The evolution to being the best ME that I can be both personally and professionally is a life long journey. I am eager with anticipation to see when and where this will take me and my clients. I encourage you to take advantage of my professional skill-sets and experience, whether it be simply for stress reduction and relaxation or with recovery support from injuries and guidance regarding the diligence and dedication it takes to heal properly. I am honored to have my practice within the Center for Advanced Energy Therapeutics where I work beside a dedicated and respectful group of holistic health practitioners. I encourage you to take advantage of my professional experience working one-on-one with client's recover as well as my personal experience with injuries experience with injuries and the diligence/dedication it takes to heal properly. 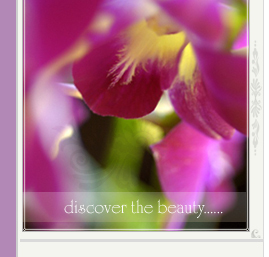 I invite you Awaken and Enlighten your senses by scheduling an appointment today. Relationships have long been a source of intrigue for Tiffany M. Bastedo; owner of Accelerated JoyWorks.. Her curiosity over the years has fueled a deep passion to support others in finding their way home to loving themselves and others in a safe, meaningful, and purposeful manner. The importance of communication, trust building, and developing an understanding of how the genders are different were brought forth in a large way during her other rewarding career as a nurse. She spent the bulk of this allopathic career working with the extremely challenging mental health and addiction populations with the most recent being given the privilege of caring for our Veterans. All have contributed to the rich life Tiffany lives today as a Relationship Coach and Communication Specialist. Tiffany utilizes a wide variety of principles, tools, and supporting products making it intimately specific to each individual. The optimal result of fully embracing your AJW Experience and newly learned ways of living, being, and loving is a life of tranquility, happiness, and JOY. Contact Tiffany at Tiffany@acceleratedjoyworks.com OR 520-404-6008. Sarah specializes in one-on-one, couples and small-group yoga classes. Her innovative instruction offers her students support on the physical, mental, and emotional health. With a healing approach to teaching, Sarah shares yoga practices that affect the many layers of the human system including the body, mind, breath, personality, and emotions. Sarah’s unique one-on-one training is based on the specific makeup and needs of each individual; with every client being provided with a custom-designed practice to improve well-being, overall health, as well as address any present day specific health concerns. Sarah’s small group classes are taught in a friendly setting to ensure comfortable one-on-one personal attention and gentle pace of class. She provides a well-spring of support to students which encourage them to meet personal and wellness goals; helping them to work toward a steady, personal yoga practice. Sarah clearly walks her talk as she “lives her belief that the power to change and transform. Thus inspiration is easily passed on to her students. Sarah has completed a 250-hour yoga teacher training for beginners in October 2009 at Providence Institute, Tucson, followed by a one-month immersion program at the Krishnamacharya Yoga Mandiram, Chennai, India, February 2010. From March 2010-June 2012, she completed a 500-hour advanced teacher training at the Healing Yoga Foundation in San Francisco followed by 600 hours of yoga therapy studies at SKY Yoga in Chennai, India, from July 2012-July 2014. She continues to study yoga therapy as an intern at Healing Yoga Arizona. 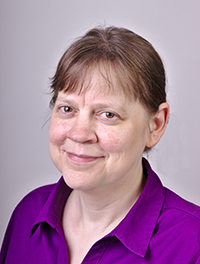 Andra S. Ewton is a certified Usui Reiki Master-Teacher and talented Reiki practitioner "Serving Animals and Their Humans". In love with animals since childhood, she has made herself available to assist animals in need, whether it be an injured animal, lost pet, or wildlife in need of rehabilitation. As an adult she lives this love out largely as owner of Andra's Animal Reiki Therapy which is “The perfect complement to veterinary care." She began her Reiki studies in 1999, completing her Usui Master-Teacher certification in 2005. This was followed by Karuna Practitioner-One and Two Reiki instruction. Her entire energy healing education has been received at the Center for Advanced Energy Therapeutics. Andra is an ardent student of energy healing so continues her studies to better serve those seeking wellness for their animals and/or themselves. Andra's specialty is teaching Animal Reiki Basics which includes working on yourself as well as on animals. These are small tailored classes for pet owners who are interested in giving Reiki to their own animals and professionals who desire incorporating complementary methods into their practice. They are available at the CAET or in-house at other professional veterinary clinics.